I LOVED this book. 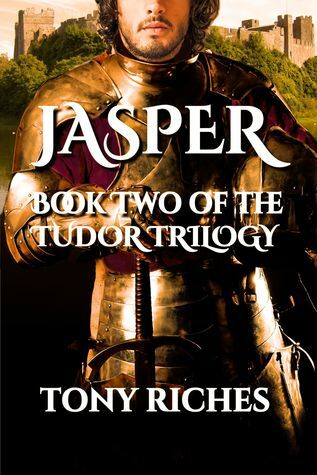 It’s a terrific page-turner, a real adventure, from the time when the country was such a dangerous place, when men were men and women waited in castles for them to come home (not so keen on that bit, as I am sure many of the women weren’t!). It made me long (as I often do) to go back to those times; this book brings the England of over five centuries ago to life so well. Book One, about Owen, Jasper’s father, was jolly good, but this is what I love to see ~ a sequel that takes the story to another level.